Yesterday we launched a couple of web sites. 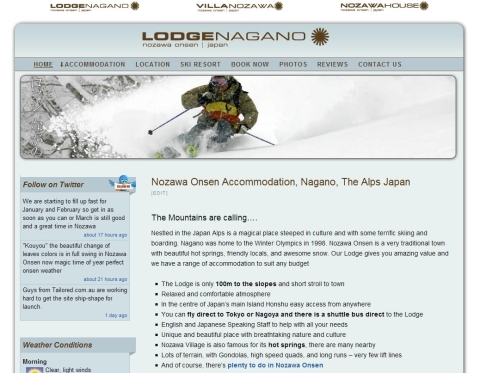 Web site # 1 was for this Nozawa Onsen accommodation place: Lodge Nagano. This one was a simple move of the web site to the WordPress Content Management platform (along with a fresher design), which means the client (Mark) can now very easily add/edit./delete content on the site. That’s a lot more useful information for the web site visitor and that makes for a better experience for the visitor searching for information. 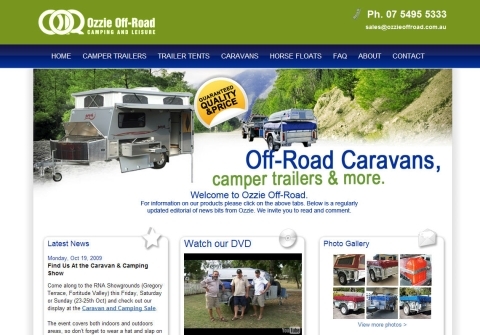 Web site # 2 is for Sunshine Coast Camper trailers business Ozzie Off Road (heh, give a bit of link love when you can!). The new site has tons more information easily accessible and the site has great flexibility. The right information at the right time. Make sense. Effective web development is about giving the visitor the right information they need in such a way that it helps move them forward to taking the action you (as the site owner) desires. If your web site doesn’t do that, then it’s doing the wrong thing.